The thickness and density of the leg bones in endurance horses increase in response to training for the discipline, research shows. Researchers in the Brazilian study investigated the cortical bone – the dense outer surface of bone that forms a protective layer around the internal cavity. The aim of the study by Mariana Damazio Rajão and her colleagues was to understand the bone response to exercise adaptations in the hopes it might provide clues to reducing the occurrence of orthopedic injuries in Endurance horses. The researchers noted that Endurance was a relatively young sport but its popularity had been growing fast. Research into veterinary problems in endurance horses was also increasing, but there was still little evidence-based information available on clinical issues, particularly orthopedic injuries. 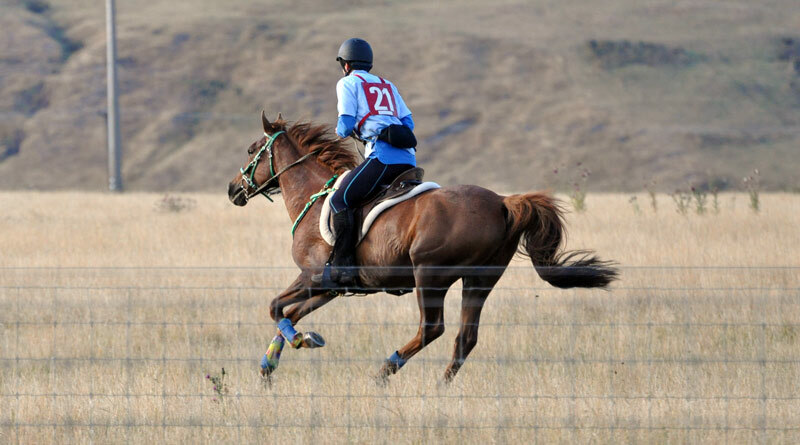 “The sport has changed greatly in the past 15 to 20 years and there is now a great difference among endurance rides in different parts of the world, particularly with respect to speed,” they wrote in the Open Veterinary Journal. The discipline had seen an increasing level of professional trainers and riders, with a dramatic increase in speed seen at all distances. Lameness, they noted, was the most common cause of elimination in all countries, followed by metabolic reasons. Stress is required to maintain bone mass and to optimize load capacity during exercise. However, bone stress can cause micro-fractures that activate osteoclasts and osteoblasts, thus leading to bone remodeling. For their study, they used 14 Arabian horses, half of whom trained at moderate intensity over four or five years for Endurance competitions over 120km and 160km. The authors evaluated the animals’ cortical bone thickness and density largely based on x-ray analysis, as well as the trabecular bone percentage in the radius, third metacarpal, accessory carpal bones and calcaneus bones, comparing the results to seven non-trained Arabian horses. They found that the cortical thickness of the radius and third metacarpal increased significantly in the Endurance horses compared to the control horses. However, the short bones were not significantly different between the two groups. The cortical bone density increased 18.27% in the third metacarpal, 34.23% in the calcaneus, and 22.82% in the carpal accessory of the Endurance horses compared to the controls. “The results showed that the changes observed between the exercised group and the control group resulted from a long-term exercise training of moderate intensity,” they said. They believed that the cortical bone may have shielded the trabecular bone, thus restraining its movement and load, limiting its adaptation. The full study team comprised Mariana Damazio Rajão, Carol Leite, Kaique Nogueira and Eduardo Maurício Mendes Lima, from the University of Brasília; and Roberta Godoy, from Writtle University College in Chelmsford, England.